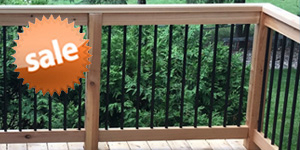 DecksDirect is proud to carry a large inventory of Fortress products. We wanted to take the time today to introduce you to Fortress Accent Lighting. Fortress offers multiple lighting accents that you can add to your deck. These accents will allow you to add additional lighting where it is needed, customize the look of your deck, and allow you to enjoy your deck into the later hours of the night! 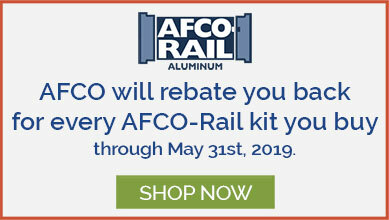 There are modules for post caps available, rail and step lights, recessed lights, transformers, and dimmers that will power and customize your lighting. As far as post cap modules go, Fortress offers an LED Cap Light Module and an LED Glow Ring Module. The LED Cap Light Modules are small light modules that you can add to the Flat Pyramid Post Cap by Fortress Accents. 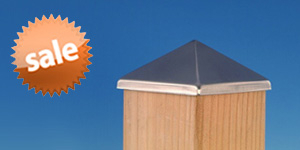 These modules can be put on one, two, three or all four sides of a post cap to give you lighting where you need it! Installation is as easy as choosing how many illuminated sides of the post cap you would like, clip the wire of any unneccessary LED modules, then wrap the ends of the clipped wire with electrical tape. These modules are available in a single pack or a pack of four. The LED Glow Ring is another post cap add on that is available from Fortress Accents. The glow ring can be attachedto the Flat Pyramid Post Cap as well. This glow ring casts a warm light coming from all four directions of the post cap. The LED in the glow ring is waterproof and uses 80% less energy than traditional incandescent fixtures! Fortress Accents also has rail lighting available with their Vertical LED Post Light and the Universal LED Light by Fortress Accents. The Vertical LED Post Light is a low-profile designed rail light that is great for metal, wood, vinyl and composite posts that measure two inches and up. This rail light is made from durable powder coated die cast aluminum and is available in Gloss Black, Black Sand, Gloss White and Antique Bronze. The Universal LED Light is also a low-profile rail light, but this light can go virtually anywhere you need added light. You will see a lot of people use this light as an under rail or a stair light. It is made from durable powder coated die cast aluminum and is available in Gloss Black, Black Sand, Gloss White and Antique Bronze. Last but not least are the Surface Mount Recessed LED Lights by Fortress Accents. The Surface Mount Recessed LED Light is perfect for lighting in the actual deck surfaceor on your deck stairs. These lights are very easy to install with the help of the 1" Forstner bit. Once the Forstner bit is used the light fixture pressure fits into the routed hole and sits virtually flush with the surface of your deck. These lights are made from premium powder coated die cast aluminum so you know they will last. These fixtures are available in packs of six and come in Gloss Black, Gloss White and Antique Bronze. You are going to also need to power your Fortress Accent lights using a DC transformer. DecksDirect offers a few options specifically made for Fortress Accent Lighting. Your first option is to choose our LED DC Transformer Kit. Within this kit you will receive a 36 watt DC transformer, a timer/photocell, a dimmer, a dimmer remote, a three foot output wire with male quick connect inputs and an open lead output, eight installations screws, 2 wire nuts, and installation instructions. This kit gives you literally everything you need to both power and customize your deck lighting! Your second option is the LED DC transformer by Fortress Accents. This is a 30 watt transformer that runs on 12 volt DC power. This transformer is not compatible with dimmers but does come with a 2-year manufacturer’s warranty!